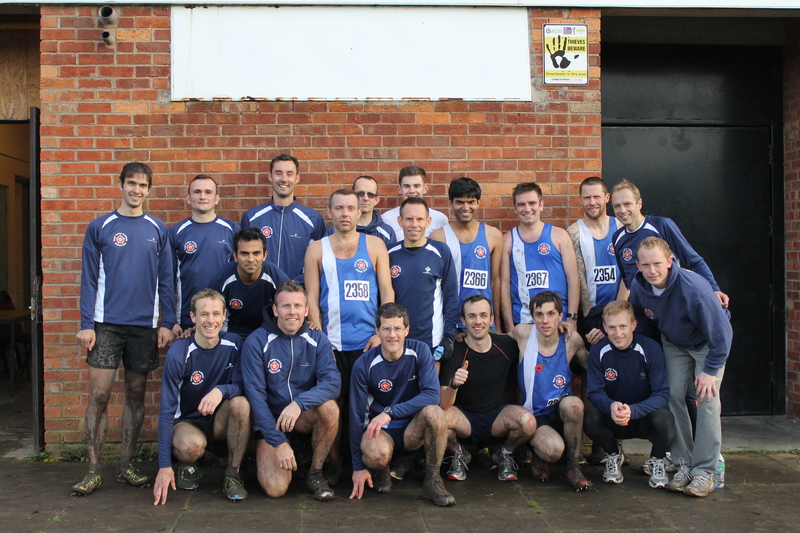 The club entered two teams in the BMAF Cross Country relays championships in Derby on Saturday. 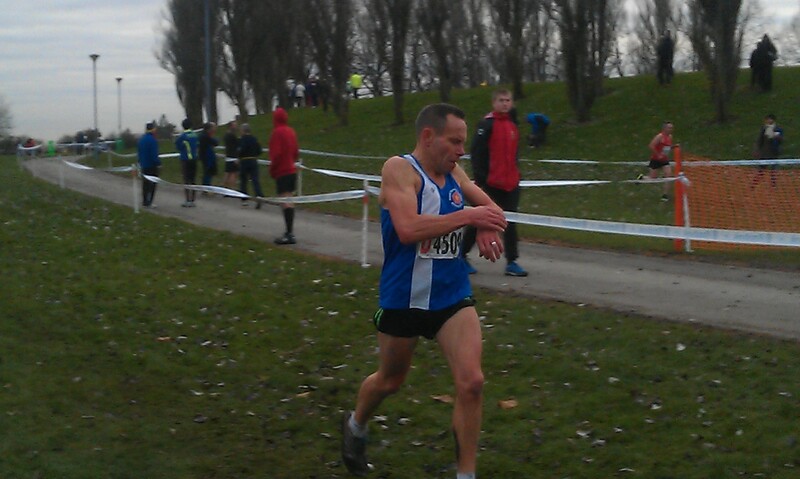 The 2-lap race took place around Moorways Stadium on a 3k undulating and twisty course, in chilly conditions. After being in a strong 11th position after Leg 1 and moving up to 9th after Leg 2, the M35 team finished in a credible 15th position out of 20 teams. The M45 team finished 10th in their category, with very strong performances from John Fletcher and Simon Corker. Well done to all, especially Gethin Rees for one of his first outings for the club and a good time too. Friday training sessions will be taking place indoors at the Alexander Stadium High Performance Centre up to and including Friday 20 December (5.30pm – 7pm). Long and triple jump, high jump, hurdles and sprints will be on offer. Pay at the Alexander Stadium main entrance – then walk over to the indoor centre. The cost is £2.40 for U16’s, £4.80 for older. For further details please speak to Megan Evans. Have you moved house recently or changed telephone phone number? If so, have you let notified the club? Please let us know any changes to your contact details – Either email rscac@hotmail.co.uk or tell the team at the coffee bar. The next 100 club draw will take place on Thursday 28th November in the Clubhouse. The £100 Christmas draw on is on Thursday 19th December. There are still numbers available – Ask at the coffee bar or speak to John Mills if you would like to take part. 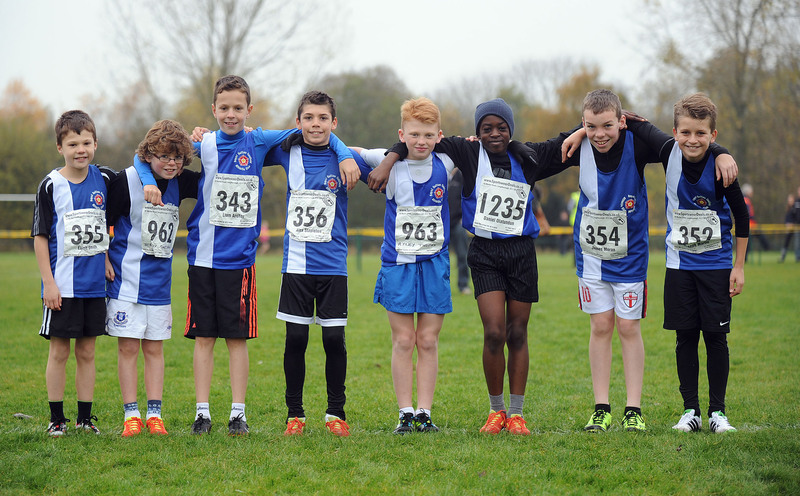 There was some fantastic running by our young athletes in the second West Midlands Young Athletes XC fixture at Wolverhampton yesterday. In testing conditions the star performance came from Alex Stapleton who won the U11 boys race in style. He took the lead on the long hill and held off a spirited late surge from his rival to claim victory. He was followed home by Joseph Martin in 3rd place, with Daniel Olatundun also having a great run in 14th. Overall the U13 boys finished 2nd. The U11 girls also packed well to secure a 2nd place team finish with Holly Tyson (4th), Lucia Cantone (9th), Lucy Corker (11th) and Tamsyn Booth (12th) all finishing in the top 20. In the U13 boys race Lewis Duval was the 1st Royal Sutton runner home in 8th place, whilst in the U13 girls race the top performances came from Ellen Humpherston and Melissa Adkins who finished 10th and 12th respectively. In the U15 girls race Georgia Curry ran superbly to finish 4th. Elsewhere, there we’re top 20 finishes for Shaun Evans, who was 13th in the U17 Men’s race and Sophia Karski, who was 14th in the U17 women’s race. Overall, the strong showing by all our athletes resulted in Royal Sutton finishing 4th on the day out of the 19 clubs competing. After two races the club is now 3rd in the league, with the next race at Halesowen in early December. Let’s have another great performance then! The full results are available here and photos taken by Marc Kirsten are available on our FLICKR page here. The second Sportshall (indoor athletics) match takes place this Friday at Stockland Green Leisure Centre, Slade Road, Erdington from 7-9.45pm. There are competitions (races and relays, standing jumps, speed bounce, chest pushes, etc, etc) for the U11, U13 and U15 age groups (school years 5 to 10) – it’s lots of fun! If you are competing wear shorts, a club vest or Royal blue T-shirt and trainers and bring some safety pins and a drink. If you want more details please speak to Tony Ashford, Megan Evans or Fiona Smith. A link to the Birmingham Sportshall website is here. The senior men had a solid start to their league season with the A team finishing 4th and the B team winning the B race. There were great performances by everyone and it was particularly pleasing to have 19 Royal Sutton athletes out braving the mud. A team: Nick Corker (5th), Ollie Harradence (6th), Fred Tremblay (30th), Paul Terleski (46th), Paul Davey (48th) and Simon Corker (55th). B team: Vikram Balachandar (56th), Chris Taylor (62nd), Colin McAuley (77th), Tom Chew (83rd), Liam Sparrock (84th) and Russell Simpson (101st). C team: John Fletcher (112th), Dave Liddall (146th), Simon Ralph (153rd), Subodh Dave (158th), Richard Lewis (192nd), Paul Jenkins (213th) and Matt Stenson (217th). The full results are available here. Photos are available on the Mudrunner Photography website here.